Finding out your organization has been breached can be devastating news — knowing how to deal with an intruder that’s broken through your cyber defenses can be even more challenging. 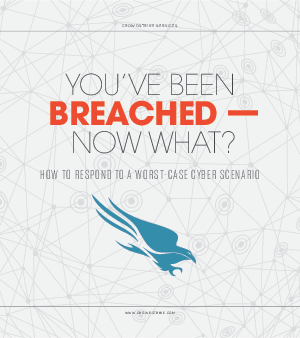 This white paper, “You’ve Been Breached — Now What? How to Respond to a Worst-Case Scenario,” offers practical steps IT and security professionals should take after a cyberattack occurs. You’ll receive guidance for both short-term and long-term strategies to help minimize damage, protect sensitive assets and preserve forensic evidence that can help during the investigation and remediation process. This paper also includes recommendations for strengthening your organization’s defenses against a future breach. They are based on decades of experience from CrowdStrike® incident responders who work on the front lines fighting cyberthreat actors every day.